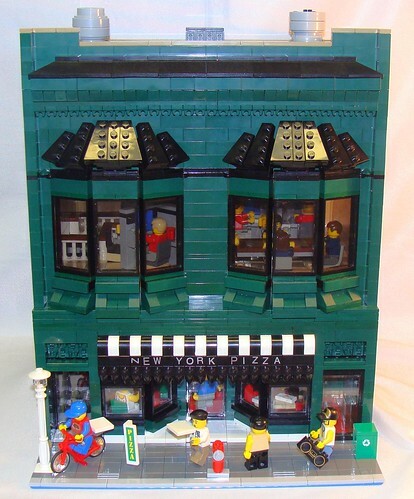 Brick Town Talk: Any Way You Slice It - LEGO Town, Architecture, Building Tips, Inspiration Ideas, and more! Queens, New York - (BTT) While the thought of a California pizza chain opening its doors in New York City might seem blasphemous to some locals, New York Pizza has had no trouble finding customers in an extremely competitive market. Mangia!